Now that Christmas has passed, it is time to start thinking about the next holiday: Valentine's Day! Pear Tree Greetings is offering one lucky reader a chance to win their choice of 24 free Kids Valentine's Day cards! They have so many cool designs to choose from! 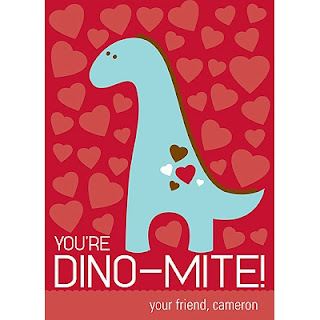 Be sure to stop by www.peartreegreetings.com and order your Valentine's Day cards today! Don't forget to check out the Pear Tree Promo Page for a listing of all of the discounts offered by Pear Tree Greetings. If you want a chance to win the 24 Kid's Valentine's Day cards offered by Pear Tree Greetings, don't forget to enter below! Follow me on Twitter and tweet about this giveaway! (Leave your Twitter name and a link) You can tweet this daily: " Pear Tree Greetings giveaway at Opinions of a Moody Mama #giveaway @coopersmommy http://tinyurl.com/6eq2au8 #pearista "
I did not receive compensation for this post. I did receive non-personalized samples of the product(s) mentioned above to facilitate the review. All opinions are 100% mine.